In this age of online shopping when you can get anything and everything online, why not Miko? 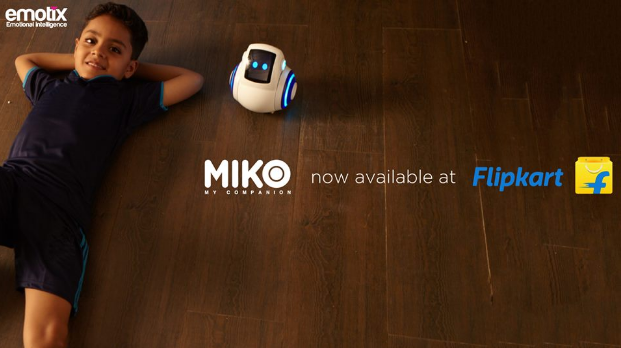 Miko Robot is now available at Flipkart and can be ordered anytime from anywhere. Yes, we heard it right! Hamleys – the oldest and largest toy shop in the world and one of the world’s best-known retailers of toys now houses Miko. 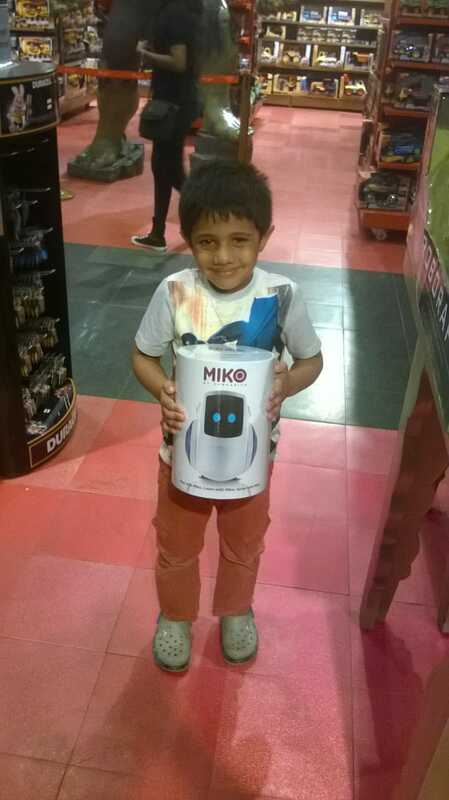 What can better than finding Miko at a funfilled trip to Hamleys, for kids. 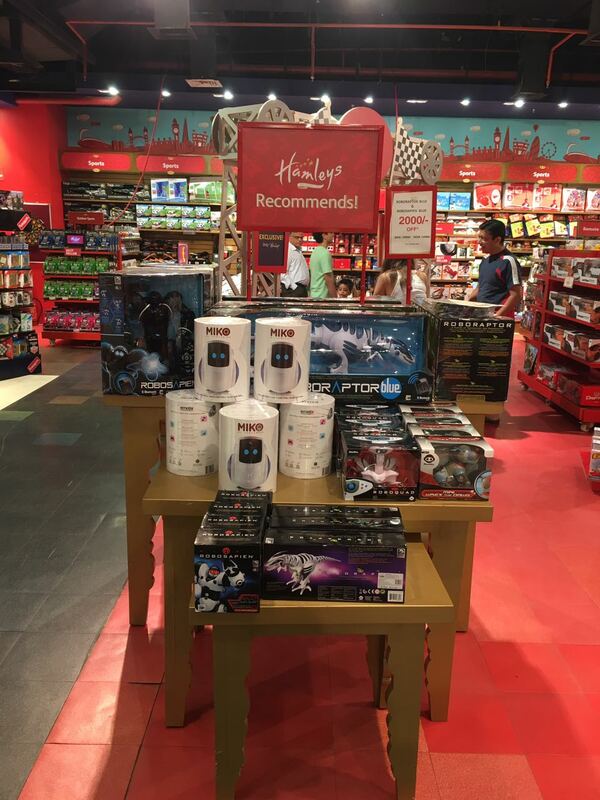 Miko can now be bought from Hamleys in the High Street Phoenix Mall, Lower Parel. Rush now to your favorite toy store and get Miko home! Miko is available at Croma now! Getting your own Miko has never been so easier. 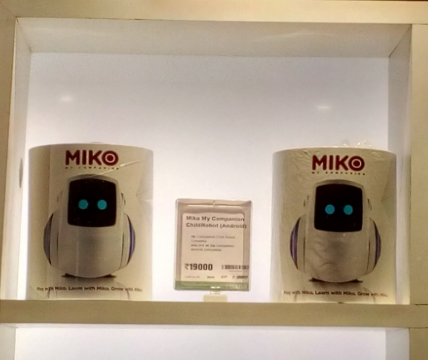 Miko – India’s first companion robot is now available in select Croma stores . The details for the same are as mentioned below. 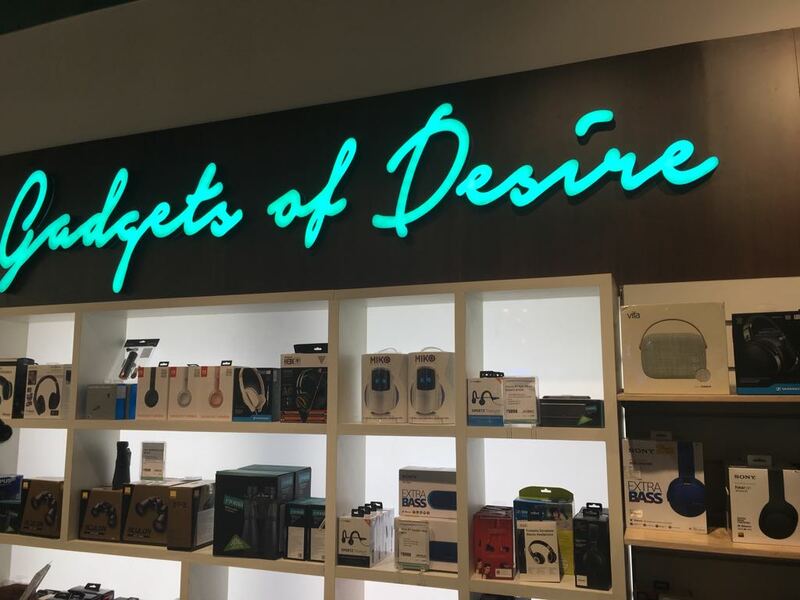 The nation’s first large format retail chain for electronics and durables Croma now has Miko in the Gadgets of Desire category. 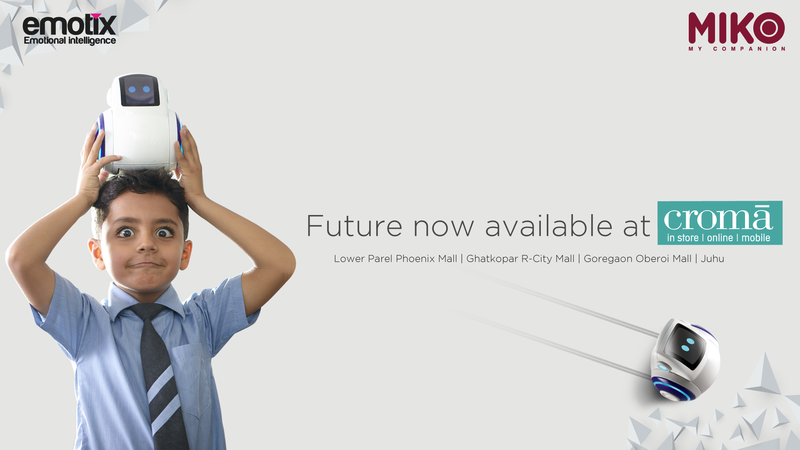 Miko is available across the Lower Parel Phoenix Mall, Ghatkopar R-City mall, Goregaon Oberoi mall and the Juhu outlets of Croma. Tech Vs. Family Time? Why not both.